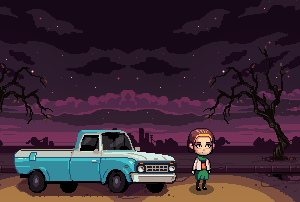 Hello I'm currently developing a 2D rogue-like horror adventure game and I'm looking for an environment pixel artist (for backgrounds mostly). Most of backgrounds are indoors, showing typical urban usa house rooms (both with and without horror elements like blood, fire marks, web etc. ), but there's also a few outdoor backgrounds. Send portfolio links and price rates to dayrayne@gmail.com or PM me here.